The council approved a compromise plan pushed by Councilmember Rebecca Kaplan. The use of bullhooks and other implements for controlling circus elephants will be banned in Oakland starting in late 2017 after city councilmembers reached a compromise agreement to phase-in the prohibition rather than the beginning of next year. Councilmember Rebecca Kaplan offered the amendment after labor leaders reached an agreement with the operator that it would not pull the circus out of town within the next three years. The ordinance passed, 5-2, with Councilmembers Larry Reid and Desley Brooks voting no and Councilmember Lynette Gibson McElhaney abstaining. Hours of testimony on the issue Tuesday night followed a similarly contentious public safety committee meeting a week ago. 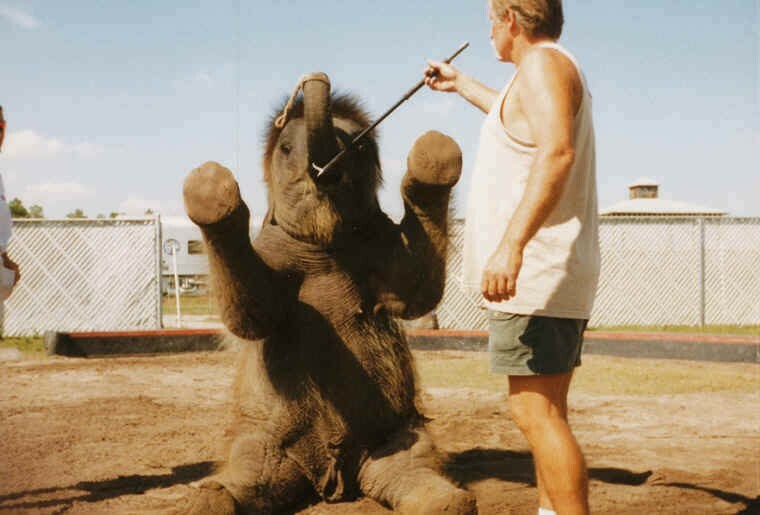 On both occasions, a vast majority of the speakers supported the ban on the bullhook — a fire-poker like device with a metal point and hook attached to one end, the use of which, critics say, amounts to torture. “If you stop and think about it — it is cruelty — and it’s a sign of our values,” said Councilmember Noel Gallo, who, along with Councilmember Dan Kalb, sponsored the legislation, which originally sought to ban the bullhook immediately. “This issue is about banning the bullhook. We didn’t want to ban the circus. That was his choice and his argument,” Gallo added, referencing threats made by representatives of Feld Entertainment, the owner of Ringling Bros. Barnum & Bailey Circus. Feld Entertainment has threatened to pull the circus out of cities that discuss banning the bullhook, said Gallo. The corporation used a similar tactic earlier this year before the Los Angeles City Council passed their own ban on the bullhook that begins in 2017. Gallo also charged the Coliseum Joint Powers Authority (JPA) with stonewalling the city’s effort to obtain financial information related to the circus performances at the arena. However, in addition, to being a question of ethics, the ordinance may also affect the city and county’s bottom line at the struggling Coliseum complex. If the Feld Entertainment decides to pull the circus out of Oakland, along with its other properties, including supercross, monster trucks events, and Disney on Ice, it could represent loses of $1.4 million, said Oakland city staffers. In addition, the potential losses would be split between the City of Oakland and Alameda County, which jointly own and operate the Coliseum. This comes on top of roughly $10 million each entity pays annually to subsidize operations of the complex. Union officials said that more than $2 million in lost wages could also be incurred by their members following Tuesday’s decision. Councilmember Reid said the ordinance was created without input from the Coliseum JPA and again undermines the recently frayed relationship between the Oakland City Council and the Alameda County Board of Supervisors. “This piece of legislation, in fact, is being jammed down our throats,” said Reid. Earlier this year, members of the Alameda County Board of Supervisors lodged a similar complaint against the Oakland City Council during a controversial lease extension with the Oakland Athletics. The lengthy debate was briefly interrupted by hundreds of demonstrators amassed outside locked City Hall doors protesting recent national events involving police brutality. Council President Pat Kernighan briefly contemplated postponing the meeting before the crowd suddenly changed course and moved toward the I-980 Freeway.